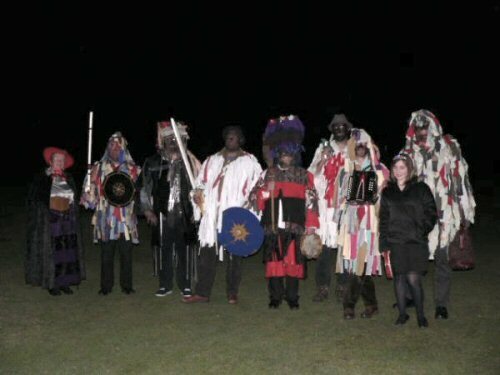 The Hilltop Mummers performing the East Boldre mummers' play in and around East Boldre in the New Forest, Hampshire, England on the 19th Dec.2009. This was the second year of the revival of this play, collected by Dr Eric Jones Evans on Christmas Eve 1924. Photographer: Roger Twitchin. 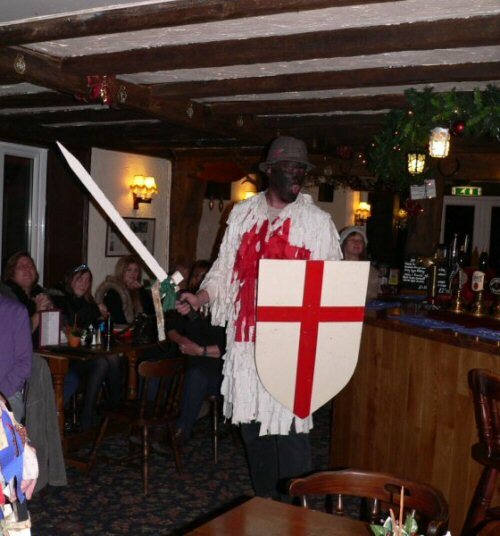 This play was, in fact, revived in 1967 by the New Forest Mummers who still perform for charitable causes it in numerous inns and hostelries in the New Forest every Christmas as they have for the last 45 years. 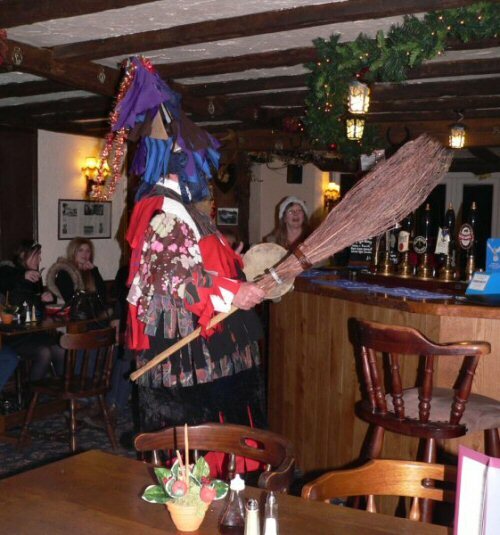 The New Forest Mummers are still led by a member of the original cast. 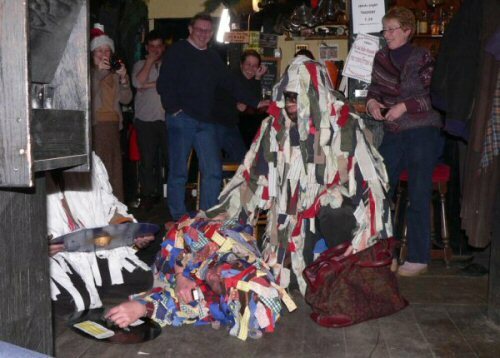 It is thought that the so-called "Hilltop Mummers" were set up by someone to whom the New Forest Mummers extended hospitality some years ago by inviting him to accompany them during their performances, and who, instead of acknowledging this has attempted to claim originality!